During the reign of the Byzantine Emperor Anastasius (491-518 AD), after more than 60 years of peace, a serious conflict with Persia broke out. It lasted from 502 to 506 AD and was known as the Anastasian War. It became the prelude to a long series of armed skirmishes, devastating both empires throughout the next century. The Anastasian War demonstrated the weakness of the Byzantine armed forces and the generals responsible for the failure explained their defeat to the lack of a solid military base belonging to the Byzantine Empire in the region. 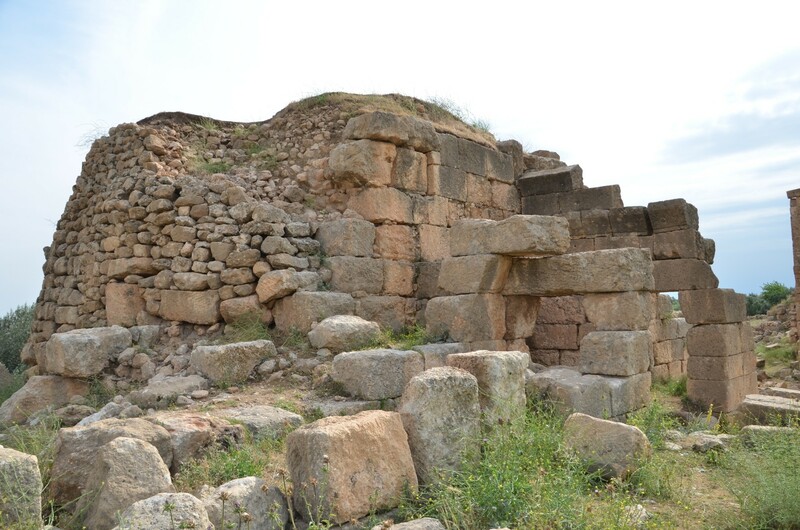 Meanwhile, the Persians possessed a mighty fortress near the town of Nisibis (now Nusaybin). 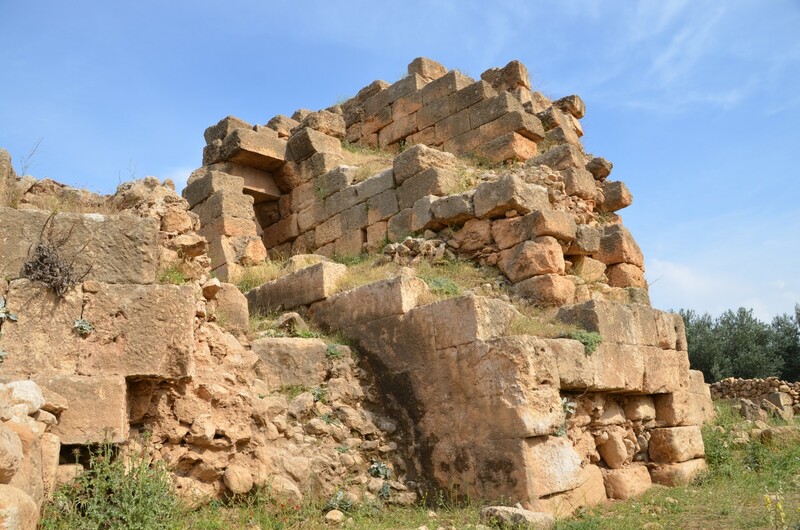 For this reason the Emperor Anastasius, taking advantage of a momentary respite in the war, due to the involvement of Persian troops in the east, ordered the construction of a fortress in the village of Dara. 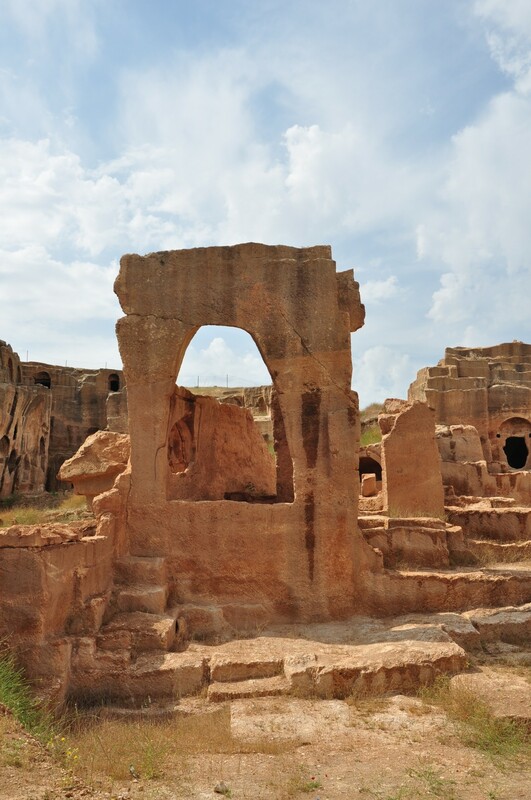 It was located 18 km west of Nisibis and just 5 km from the border with Persia. The fortress was to serve as a military base and guard the frontier territories. Its construction involved the masons from all over Mesopotamia, and the work progressed very quickly. The new city was founded on three hills, with the citadel on the highest hill. 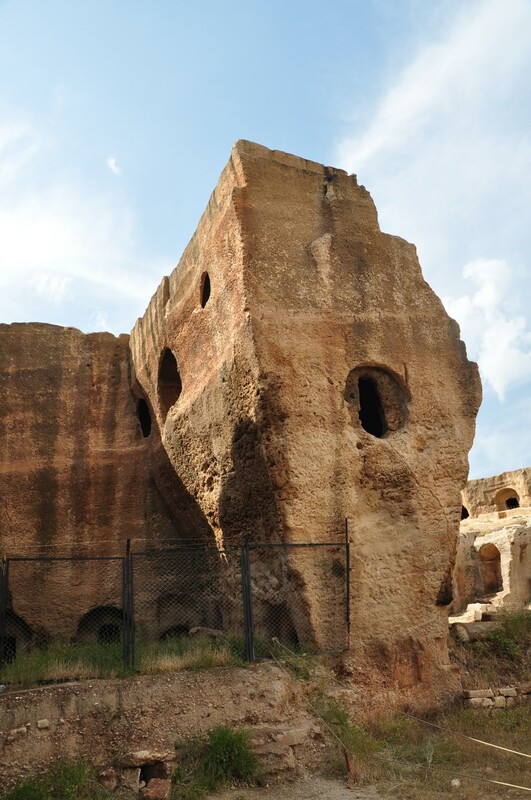 Also, huge warehouses, water cisterns, and public baths were built. A new settlement was named Anastasiopolis, in honor of the emperor and it was established as the capital of the province of Mesopotamia. Unfortunately, due to the rush during the construction of the fortress, its walls were found to be of poor quality, and severe weather conditions quickly worsened the problem, destroying long stretches of fortifications. 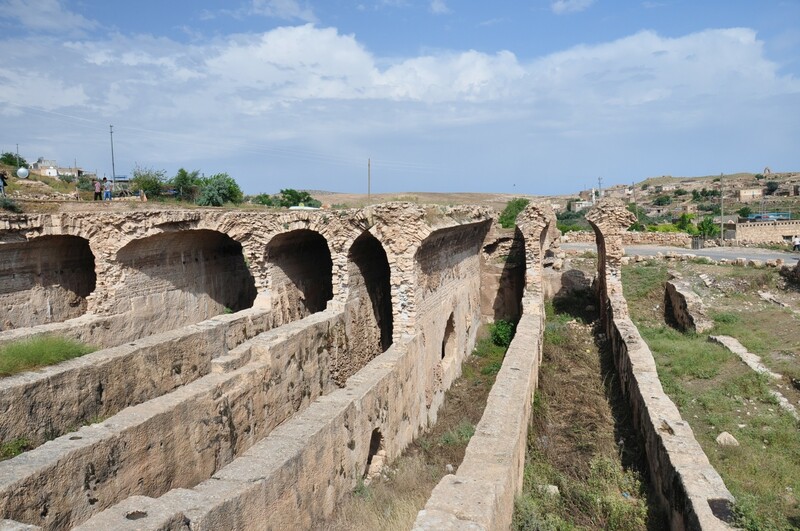 That's why the Emperor Justinian I (527-565 AD) was forced to finance the repair of extensive fortifications in Dara. Additionally, he ordered to raise the height of the internal wall up to 20 meters. The towers were strengthened and expanded to achieve a height of 30 meters. To finish the work of strengthening the defenses of Dara, a moat was dug and filled with water. 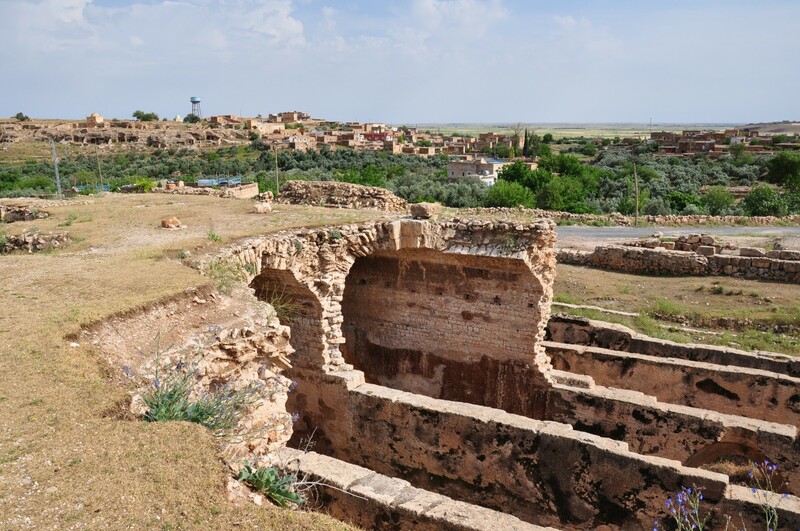 What's more, the engineers working in Dara, on the orders of the Emperor, changed the course of the nearby river Cordes so that it started to flow through the city. They achieved this by digging a canal that led the waters of the river to the city. In this way, Dara obtained virtually unlimited access to drinking water. 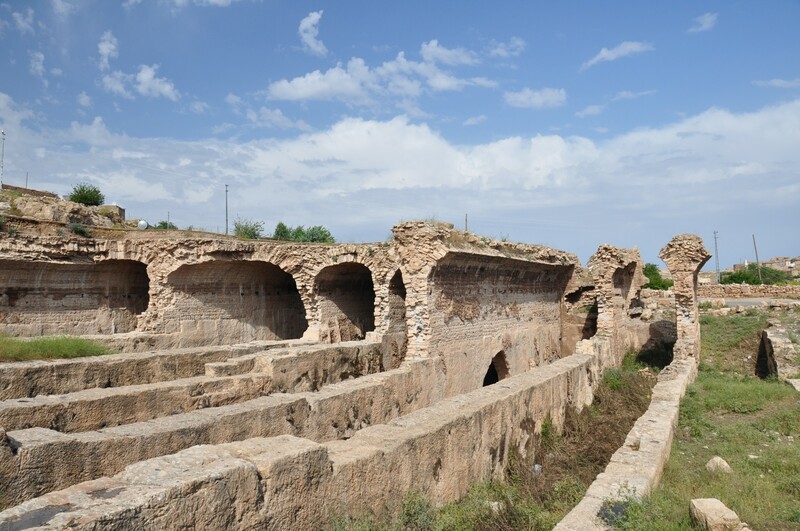 In addition, because the canal ran underground and rerouted the river to the surface 65 km to the north of the city, it severely limited the access to water for potential invaders during the siege. Indeed, such a solution saved the town several times during the prolonged wars with Persia. To prevent flooding, which in the past had threatened the city, a magnificent arch dam was built, one of the first of its kind in the history of engineering. Unfortunately, its location remains unknown. In addition, at the same time, more structures were built, including the barracks for the army and two new churches: the Great Church and the Church of St. Bartholomew. After these changes, the city received a new name, of course, associated with the Emperor Justinian, and from then on was known as Iustiniana Nova. 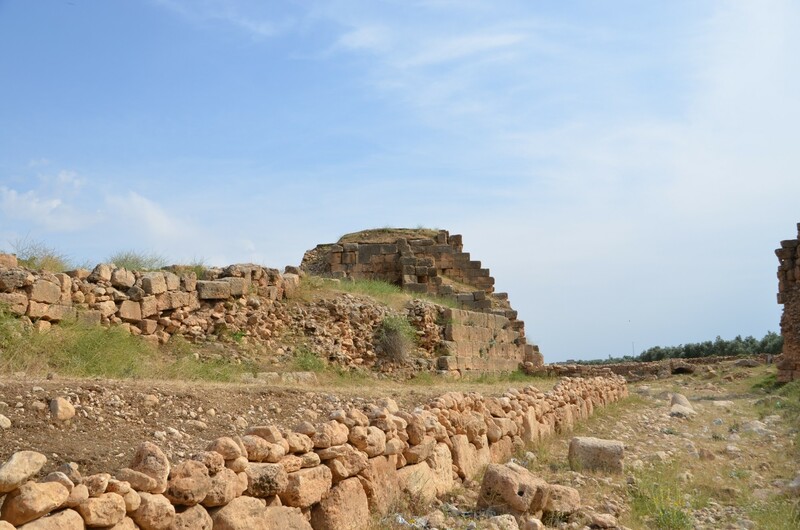 In 530 AD, a battle was fought near Dara. It was one of the armed clashes during the so-called Iberian War, waged in the years 526-532 between the Eastern Roman Empire and Persia. Byzantine army led by General Belisarius won a significant victory over the Persians for the first time in almost 100 years. This result gave Byzantium the control over the strategically important areas of northern Mesopotamia, despite the later defeat of Belisarius, suffered a year later, at the Battle of Callinicum. Because of this defeat Belisarius was relieved of his command and recalled to Constantinople, where he suppressed the Nika riots directed against the emperor Justinian next year. In 540 and 544 AD, the Persian army led by Khosrow I Anushiruwan (of the immortal soul) unsuccessfully attacked Dara. 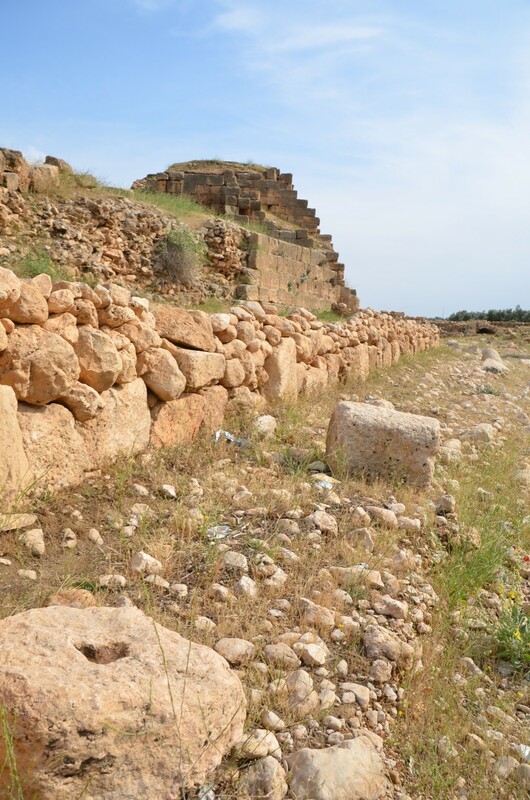 It was only in 574, when, despite all fortifications, Dara was conquered by the Persians. Apparently on hearing the news of its fall the Byzantine Emperor Justin II went mad. The empire was ruled until his death in 578 by his wife Sophia and their adopted son Tiberius II Constantine. In the meantime, the Persian army continued its march to the west, but it stopped by the death of Khosrow I. After the conclusion of peace with Persia in 590 the city was returned to the Byzantines by the Sassanid ruler Khosrow II. It was then looted by the same ruler in 605, after a siege that lasted for nine months. This time, the Persians decided to raze Dara to the ground. The city was rebuilt by the Byzantines in 628, but only 11 years later it was conquered by the Arabs, freshly converted to Islam. 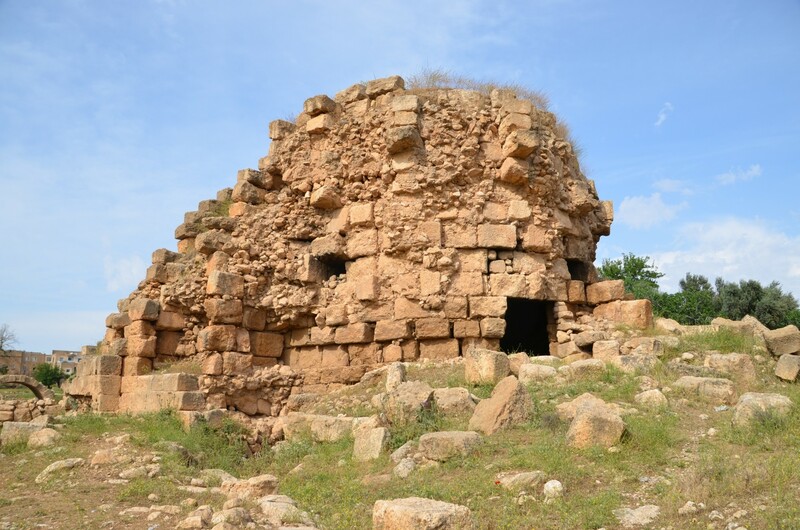 Dara remained in the hands of the Arabs for over 300 years. In the 10th century, the city was sacked twice (in 942 and 958) by the Byzantines, but they never regained constant control over these territories. 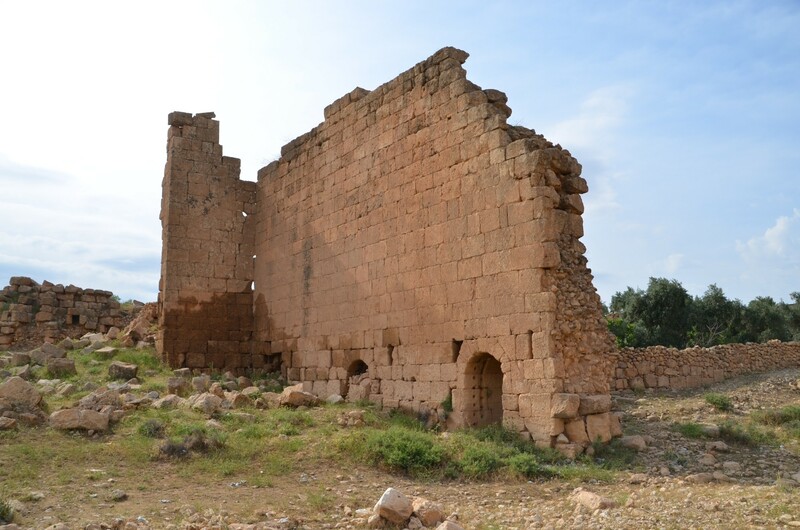 From that period Dara lost its strategic importance, began to fall into disrepair and was finally abandoned. 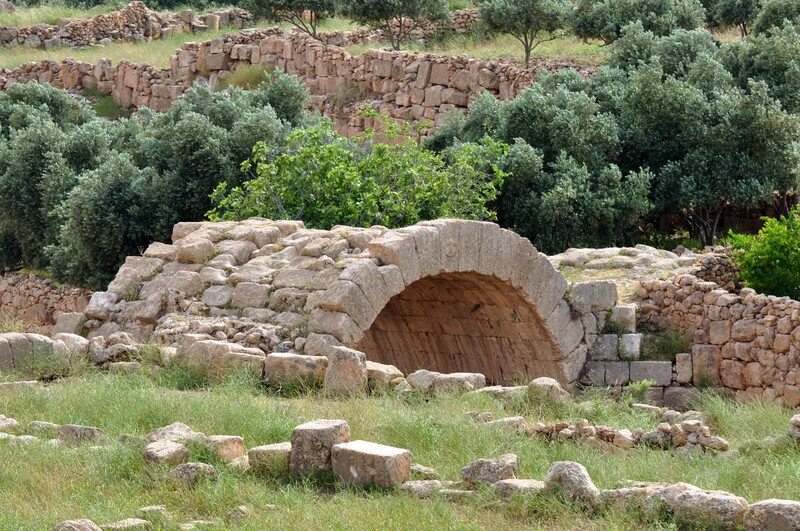 As in the Byzantine period, also currently Dara lies in the border area, just 7 km from the Turkish-Syrian border. 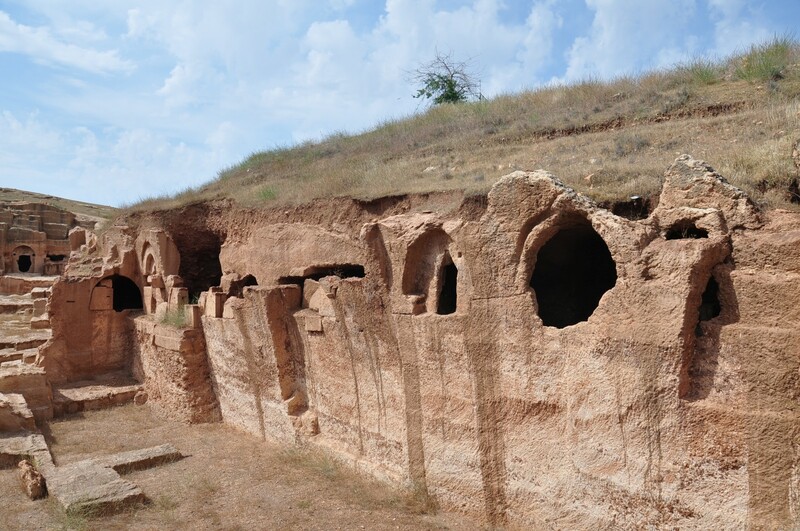 The ruins of an ancient Byzantine fortress are located in the village of Oğuz, which was built in large part with ancient building materials, as evidenced by the existence of architectural elements in the walls of cottages. 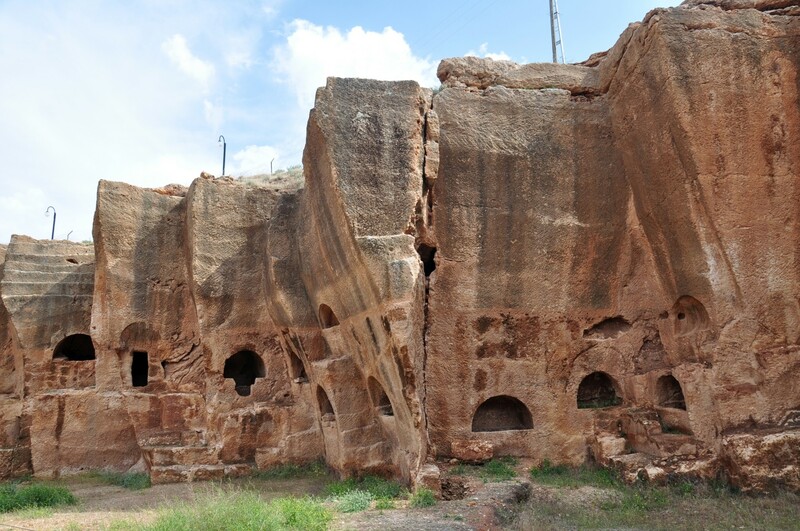 After you exit route 955 that goes from Mardin, even before the entrance to the village of Oğuz, stone steps carved into the rock can be seen on the left side of the road. 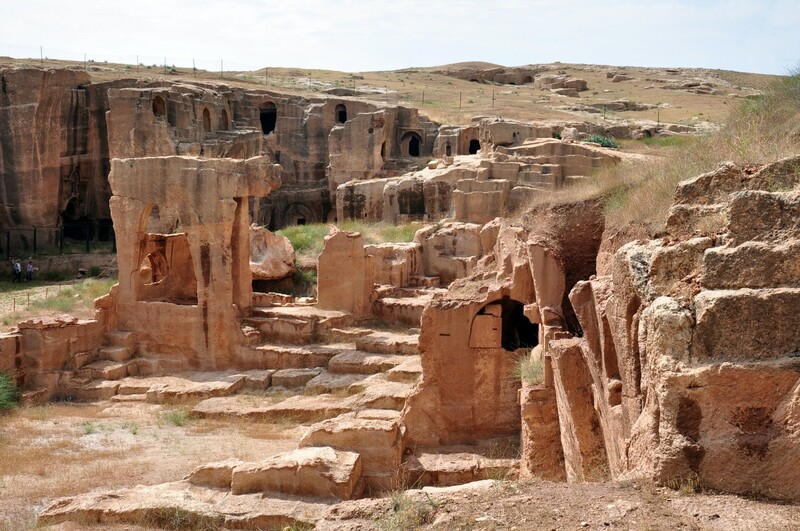 Although this sight brings into mind Mesopotamian ziggurats, in fact, these are the remains of old quarries, where slaves cut the stone blocks used to build the fortress of Dara. Right at the entrance to the village, also on the left side of the road, there is a fenced-off necropolis. 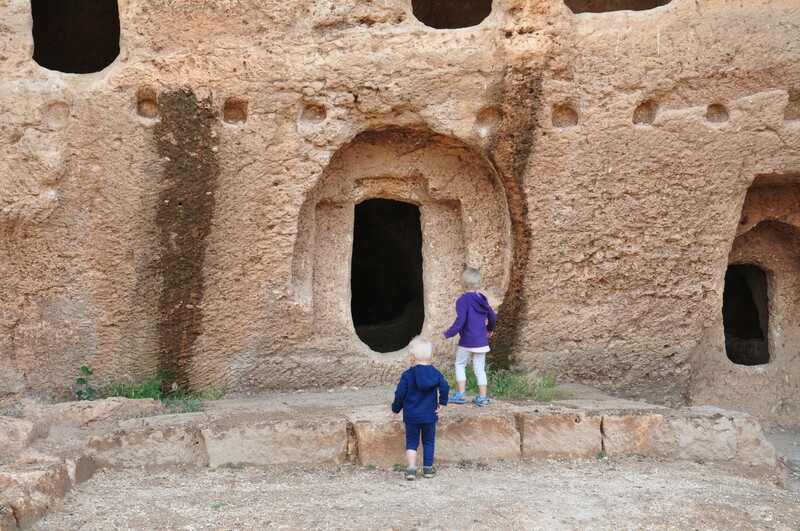 The tombs were carved into the rocks. Many of them have a simple form, but several tombs, belonging to wealthy citizens, attract attention with their spaciousness and decorations and. 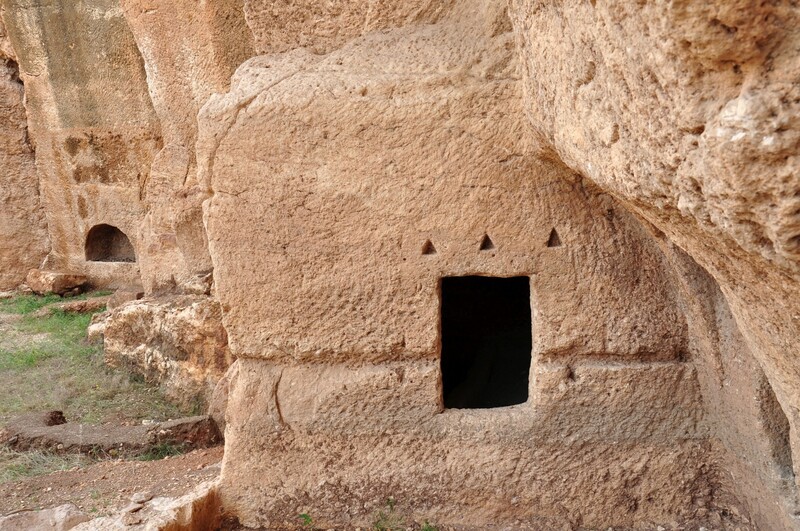 The tombs are carved in limestone rocks, on three levels. On some tombs, one can see inscriptions and decorations. Many remnants of historic buildings are located near the dried-up bed of the river, which banks are connected by the bridge from the Byzantine period. On the opposite banks of the river stand the remains of the city walls and a few towers. 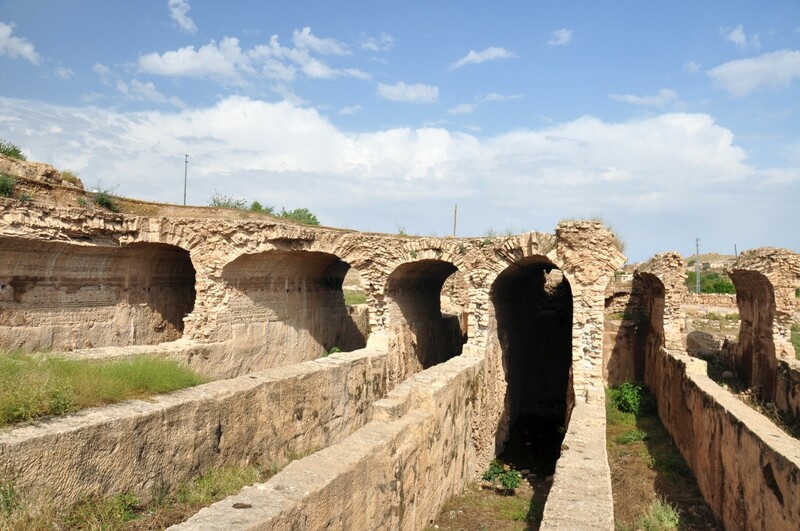 The biggest attraction of Dara, however, are the remains of huge water cisterns. Some of them are hidden underground, and access to them is possible but difficult as you need to find the holder of the keys. Opposite the local tearoom, there are more cisterns, clearly visible and only partially covered by a roof. 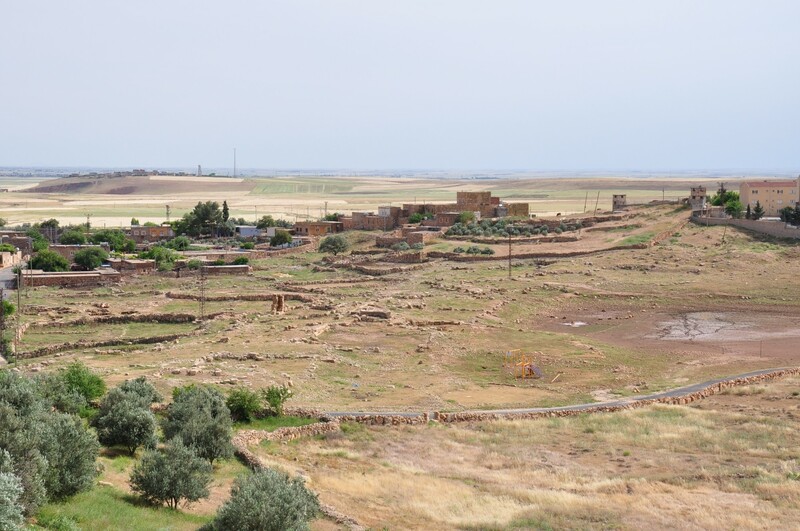 In the village, there is also the ancient road leading to the agora, but the agora itself is currently in very poor condition. It is worthwhile to spend some time walking around the village and looking for fragments of ancient buildings that have been embedded in the walls of modern buildings. 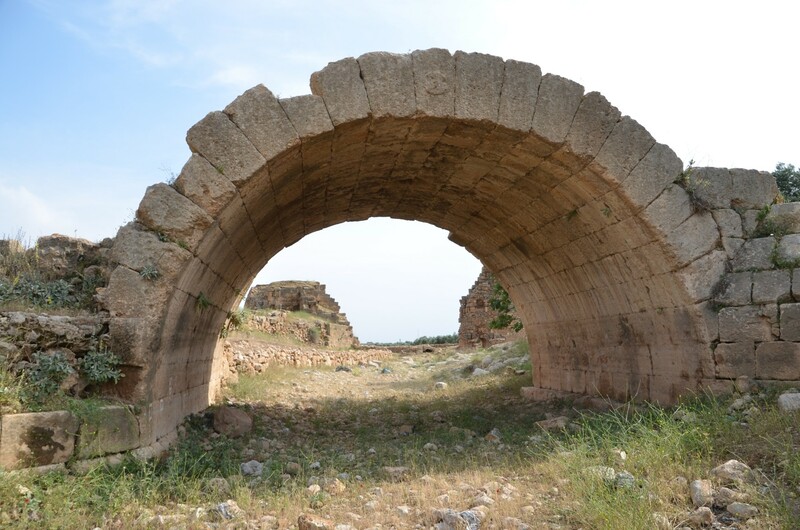 The ruins of Dara are available to visitors; you can even see Turkish school trips there. Right at the entrance to the village there are the remains of a Byzantine necropolis. This area is fenced off and open to visitors every day except Monday, from 8:30 am to 6:30 pm. 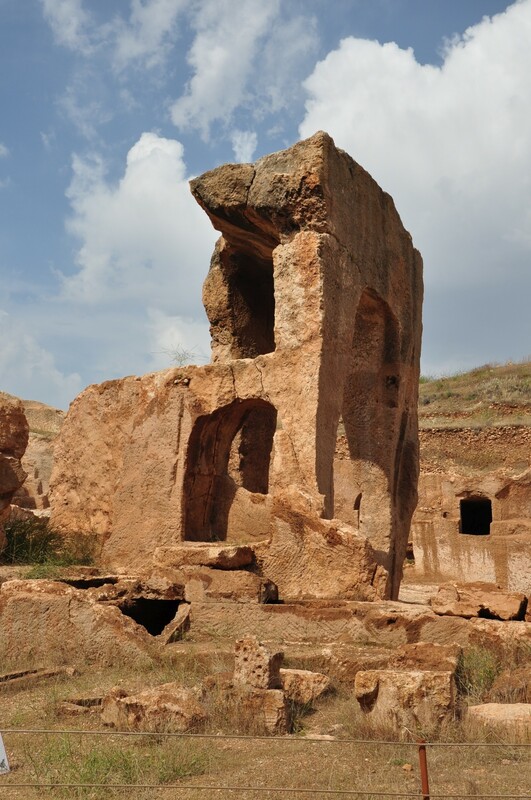 Admission is free, and a signboard at the entrance proclaims that all attempts to charge the visitors should be reported to the gendarmerie or the board of the Museum of Mardin. 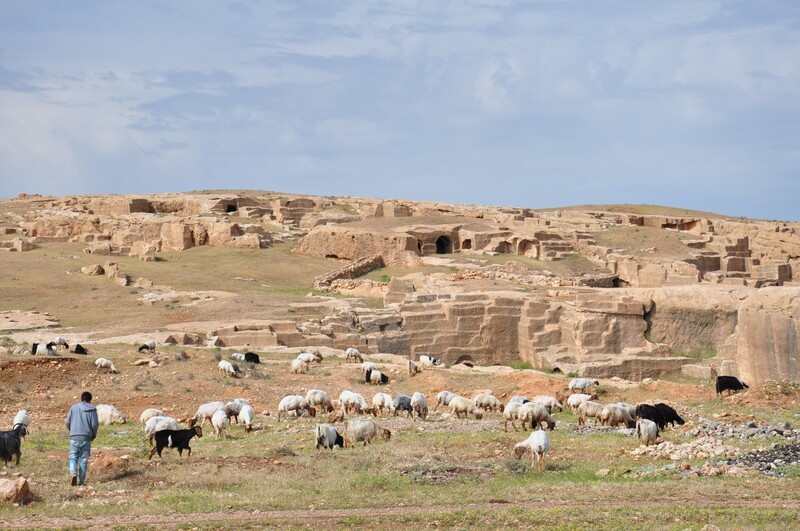 The remaining structures of ancient Dara are situated among the buildings of the modern village. 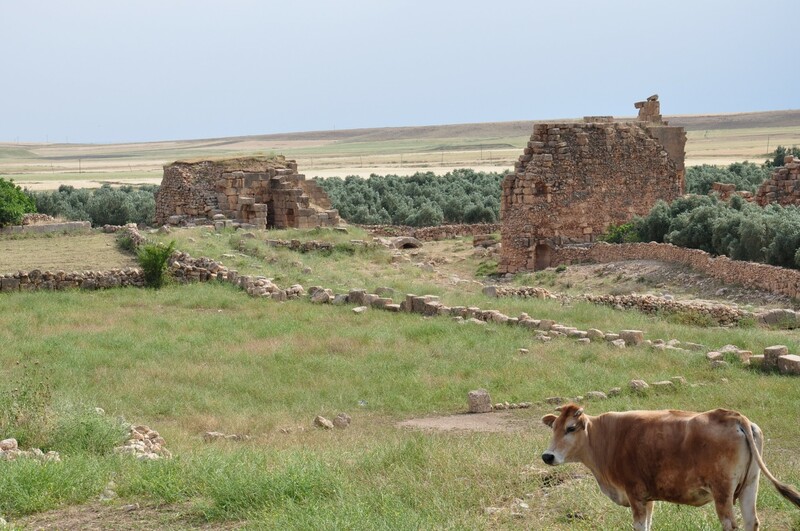 To find them, walk around in the village of Oğuz. The village has only one restaurant, located opposite the entrance to the necropolis. 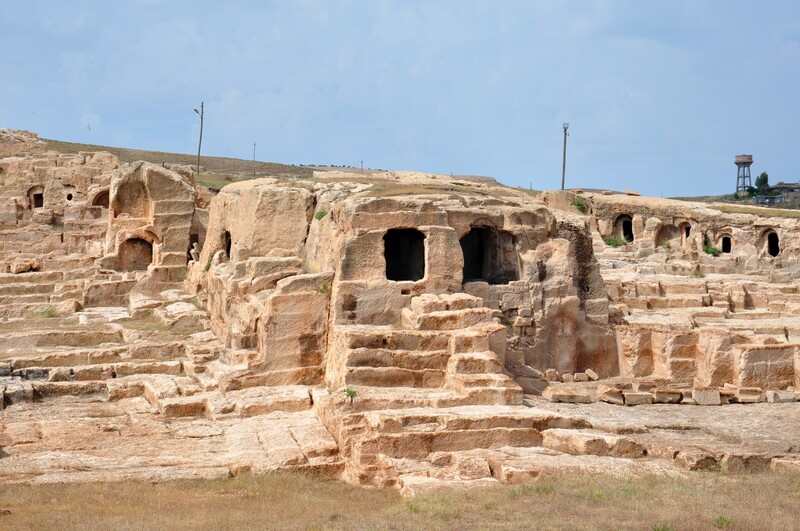 The nearest accommodations options are in Nusaybin (29 km) and Mardin (34 km). 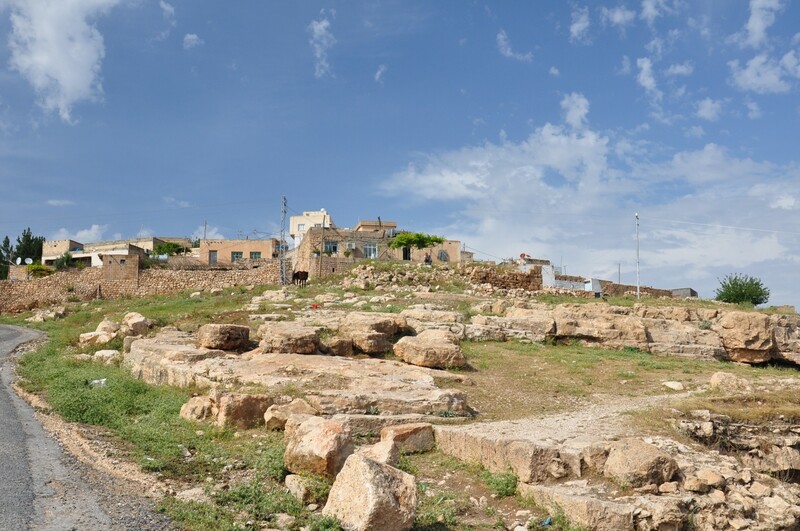 By car: from Mardin take route 955 to the south, in the direction of the Syrian border. After driving for 24 km turn east in Akıncı village. The turn-off is clearly signposted. 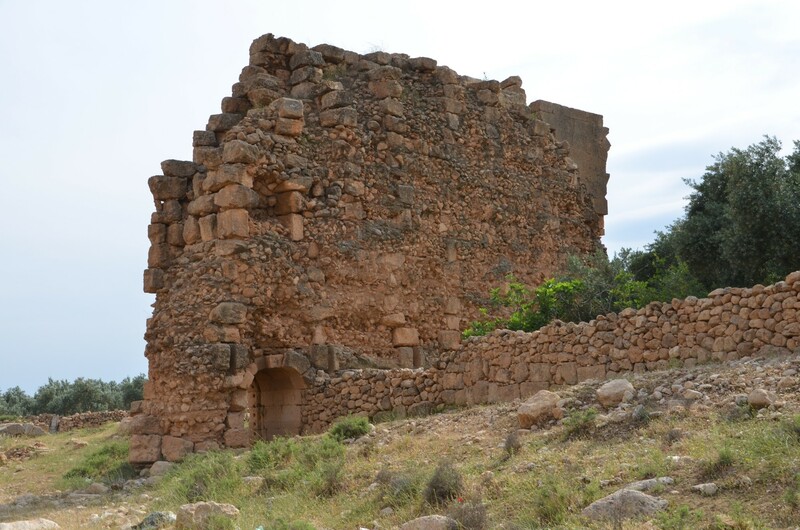 After 9 km, you will reach Oğuz village and the ruins of Dara. 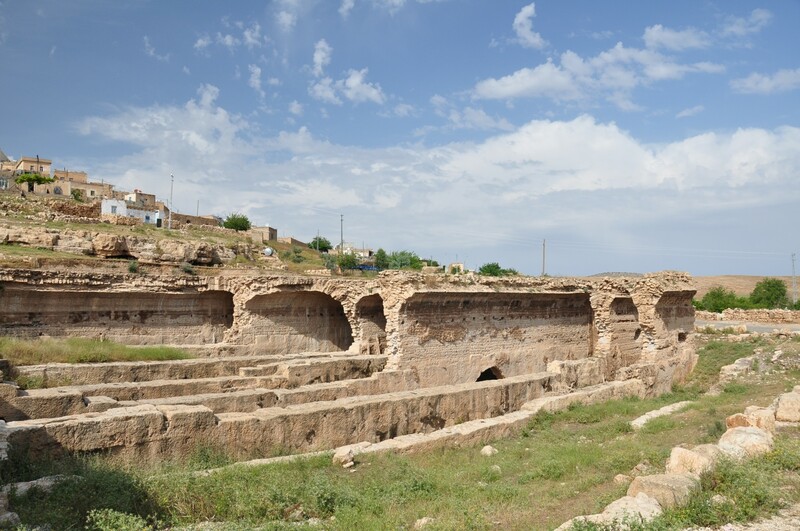 By public transport: there are up to three minibuses from Mardin to Oğuz daily. 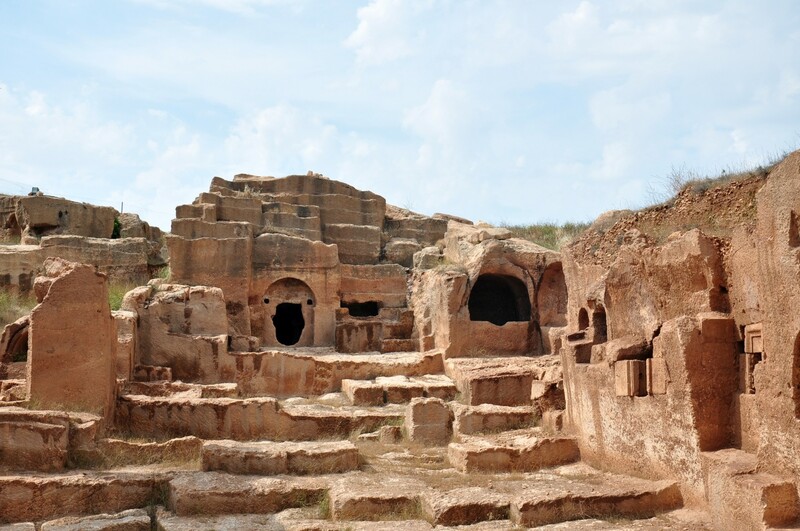 It is also possible to take a taxi from Mardin.